How to Leave a Lasting Legacy - Excellent Cultures Inc.
Alan Pratt truly dives deep in this episode. His desire is to help you find your heart and build your life and organization around leaving a legacy. This isn’t just talk, he gives you questions to begin answering for yourself. Alan Pratt, CEP, CAP is a family legacy advisor specializing in philanthropy and family wealth preservation. He brings a unique blend of personal experience and technical knowledge to the estate planning process. Alan helps families understand, in plain English, their options for preserving wealth in a way that honors their underlying values. Alan’s company, Pratt Legacy Advisors practices a unique form of estate planning that goes far beyond strategic wealth distribution. Alan believes that a meaningful estate plan comes from knowing your values, living your values, and planning from your values. His firm has created Legacy Planning from the HeartTM, a process to help you integrate your life experiences with your estate plan, while maintaining ongoing communication within your family. He holds trust, listening, and life-long relation- ships as core values in everything he undertakes and shares from his own personal experiences. Alan is in demand as a speaker at regional, national, and international conferences dealing with family relationships, wealth preservation, and stewardship. He is recognized as a leader in Advanced Life Insurance designs, which is often used as a strategy to responsibly transition family wealth. He earned his Chartered Advisor in Philanthropy designation in 2006 and currently serves as the Chief Ambassador of The International Association of Advisors in Philanthropy (AIP). In 2007, he became a founding member of the Seattle Philanthropic Advisors Network (SPAN) and currently serves on the Board as Vice President. 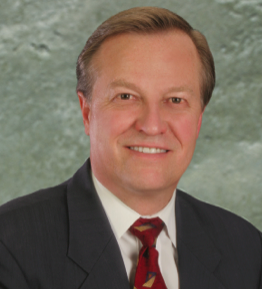 He is an active member of the National Institute of Certified Estate Planners, Washington Planned Giving Council, and the Seattle Chapter of the National Association of Insurance and Financial Advisors. Alan serves on the Advisory Board of the Chief Seattle Council–Boy Scouts of America and the Seattle Christian Community Foundation. Alan and his wife, Helen, were married in 1984 and have 3 children. You can reach Alan by email at alan@prattla.com or by phone at 425-455-0999.